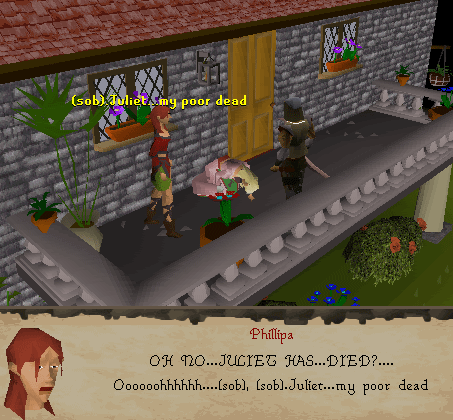 Romeo and Juliet are desperately in love, but Juliet's father doesn't approve. Help them to find a way to get married and live happily ever after. 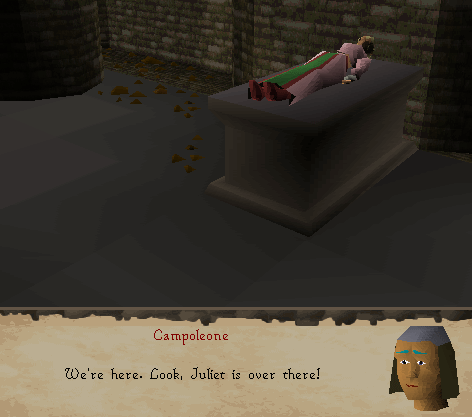 Now head back to Romeo and talk to him. He will ask you to accompany him to the crypt, apparently he is not a great hero. 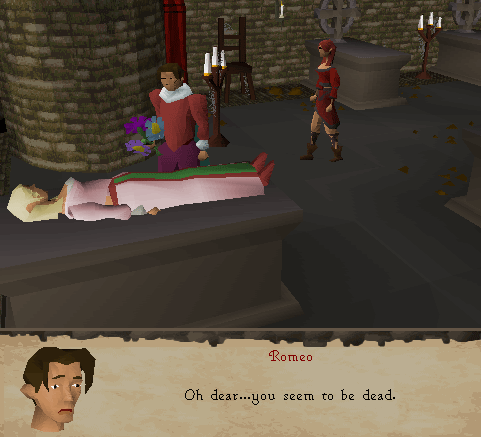 Once again a cut-scene where you will take Romeo by the hand to show him Juliet.